When your stomach begins to get upset, it can be distressing and painful. It can be even more distressing when you don't know what stomach illness you may be dealing with. If you need help figuring out what's causing your pain, here is a stomach problem list of the top 10 digestive disorders. One of the most common - and least serious - conditions is having gas in your digestive system. This can cause a surprising amount of pain, and it is also often responsible for bloating. A change in diet or in other habits is likely to mend this problem quickly. Also very common, constipation happens when your digestive system can't pass stool. This is often caused by a poor diet, and it can also be very painful. Many people mistake constipation pain for something more serious. Closely associated with ulcers, gastritis is an inflammation of the lining of the stomach that can cause significant pain, especially during meals or other times of eating. It is caused by bacteria in the stomach - the same bacteria that cause ulcers, small sores on the stomach lining. This condition causes inflammation of the large intestine, and doctors do not understand exactly what causes it. Symptoms include stomach pain, nausea, bloating, gas, and weight loss. Women are more likely to be diagnosed than men, possibly due to a hormonal link. Like IBS, Crohn's disease causes inflammation in the digestive system, but in Crohn's disease the inflammation is more widespread. It can cause pain, diarrhea, fatigue, and weight loss, and can even cause malnutrition due to the inability to properly digest foods. With gastro paresis, the stomach is unable to perform its proper muscular contractions that help the digestion process begin. Because of this, the stomach never properly empties and can cause nausea or vomiting, along with an uncomfortable feeling of fullness. When a part of the bowel is obstructed, that means that food cannot pass through the intestines to continue the process of being digested. This can have serious side effects, and can even result in tissue death in parts of the intestine without immediate treatment. An inability to pass gas or have a bowel movement are the most significant symptoms. Diverticula are small lumps that can form in the large intestine and generally cause no problems. However, if they become inflamed or infected, you will develop diverticulitis, which can cause persistent pain, nausea, fever, and constipation. Stones, small collections of crystallized minerals, can form in the kidneys due to a number of factors. While they are not normally dangerous and can usually be passed with the help of only hydration and pain medication if painful, in some cases they may require surgery. Pain in the stomach and back along with painful urination or discolored urine are often a sign of kidney stones. The appendix is a small pouch that is situated on the colon and has no purpose in modern day humans. However, it can become inflamed or infected and cause significant problems. It causes severe, sudden pain in the right side of the abdomen and should be treated immediately with surgery. Knowing about the illnesses on this digestive disorders list can help you decide whether your stomach problems need immediate medical attention or not. To learn more about how to help your digestive problems, read about the benefits of yoga for your constipation. 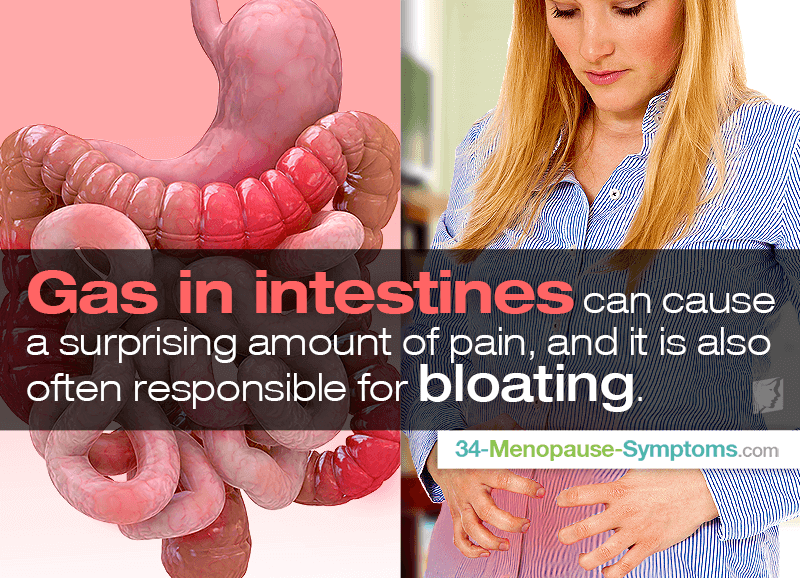 Menopause can lead to digestive problems. Click here to learn more. Digestive problems can be a common but lesser-known symptom of menopause. Read more about their possible triggers here. Digestive problems are a common symptom that both women and men can suffer from at any age, but women in menopause are more susceptible. MenopauseNow.com is dedicated to providing reliable, up-to-date information and advice on the most common topics in women's health, including PMS, menopause, natural hormones, hormonal conditions, and fertility. ©Copyright 2019. MenopauseNow.com. All Rights Reserved. The content of these informational pages is for educational purposes and health care support only and does not intend to be used for diagnosis or treatment of a health problem or as substitute for consulting a licensed medical professional.